Ah, Porites. Easily one of the most underappreciated small polyp corals, but it shouldn't be! There are a precious few corals which are bright yellow, and porites is one of them. 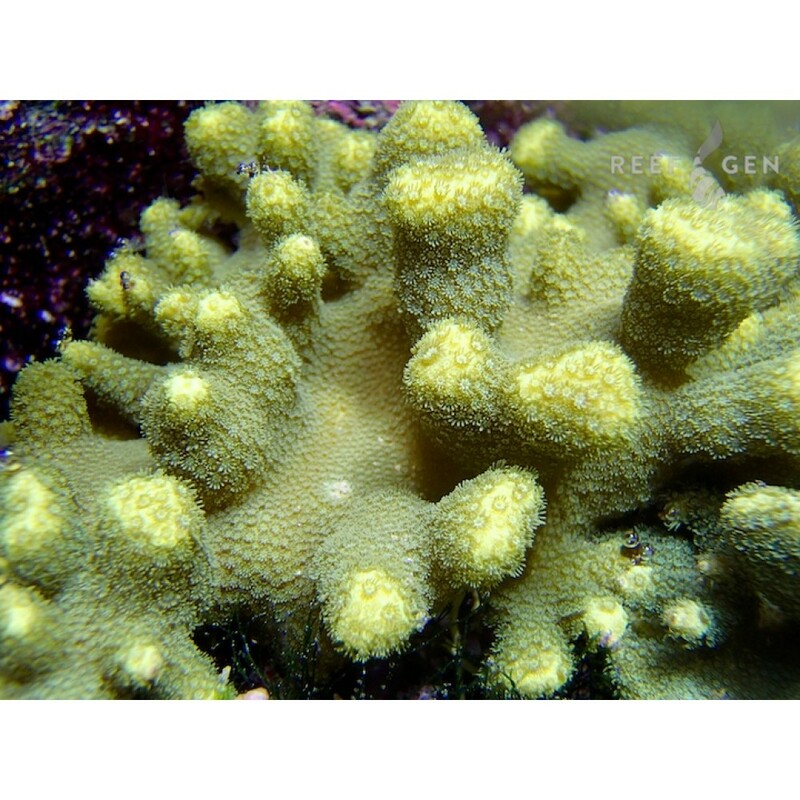 Ours is a glorious canary yellow and one of the hardiest stony coral that can be kept in an aquarium. 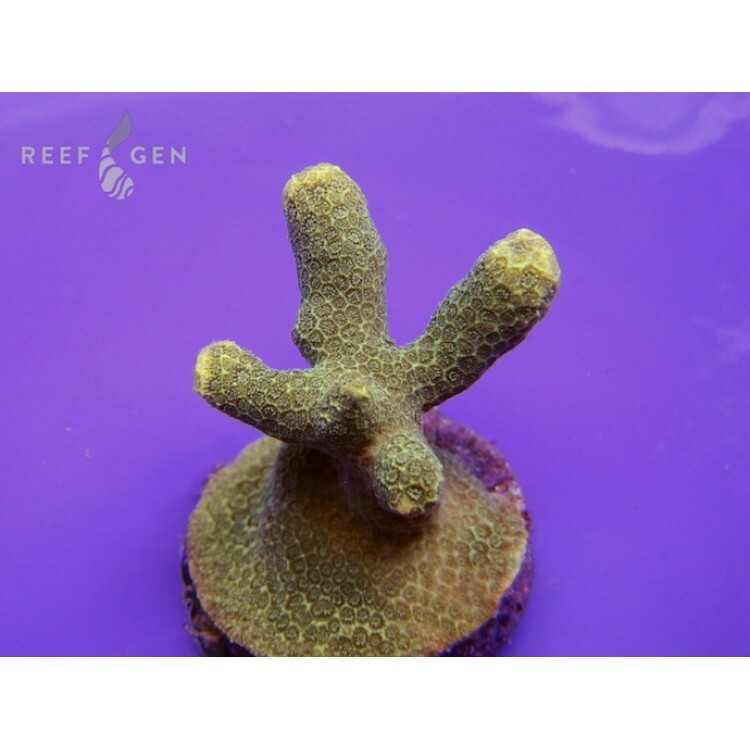 An important reef building coral in the wild, it will grow thick, knobby fingers up into the water column of your tank.